It’s apple season! That, and the cooler autumn air lure me into the kitchen, nudging my creativity. So what’s the twist with my apple delight? A crispy oatmeal topping laced with Angostura bitters adds richness and depth to this traditional autumn dessert. Rosie asks “Bitters in apple crisp?” Well… my experience with the popularity of bitters in foods throughout the Caribbean+ has broadened my kitchen usage. So yes, I use Angostura bitters fairly often. It adds such an enticing flavor dimension, taking many recipes from “everyday” to extra special. It’s my kitchen umami, sort of like soy sauce. Stay tuned. Rosie will make this crisp and report back…..
And the results are….WONDERFUL! I describe the bitters as deepening the caramel-like brown sugar notes, and most remarkably, tempering any over-sweetness. As Rita says, bitters adds a subtle complexity. I agree! I tested with Cripps Pink apples which are the same as Pink Lady, a slightly tart apple that’s a cross of Golden Delicious and Lady Williams apples. Next time I’d use Granny Smith or a juicier apple. As you can see there is no syrupy liquid, and the apples were a bit crispier than I prefer which some of my tasters like. So choose apples for your taste and add Angostura bitters to the crumble! For topping, stir together butter and Angostura. In a medium bowl stir flour, oats and brown sugar. Drizzle butter over flour mixture as evenly as possible and stir well. Refrigerate 30-60 minutes. When ready to assemble crisp, remove topping from refrigerator and crumble with your fingers. Preheat oven to 350°F. Core apples; quarter and slice about 1/4” thick. You should have 5 cups apples, about 1-1/3 lb. total. In a 9-inch deep dish pie plate or square baking dish, toss together apples and a generous sprinkle of cinnamon. Sprinkle with 1 tablespoon brown sugar and toss again. 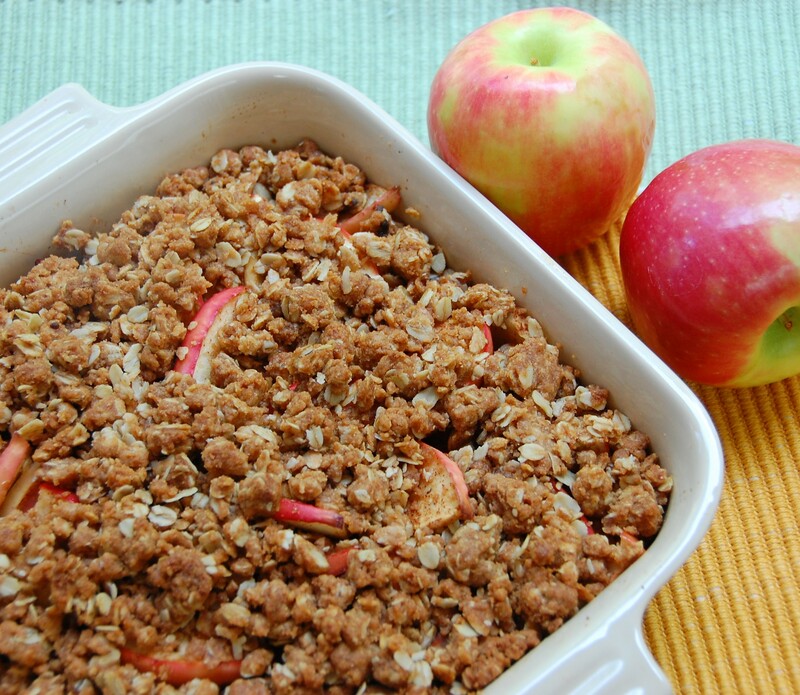 Scatter topping over apples. Bake 35 minutes. Let cool 1 hour, then spoon onto plates or bowls. Top with a scoop of vanilla ice cream, if desired. 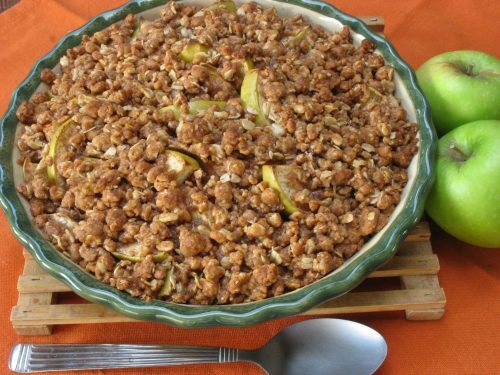 * I used granny smith apples for this recipe. Other baking apples I like are pink lady and honey crisp. Good to hear, Jill. Let me know if you try the apple crisp, or the next time you use bitters in the kitchen; I’d like to hear how it works for you. BTW, a teaspoon of Angostura bitters in turkey gravy, along with brandy, is amazing. Fortunately or unfortunately, I won’t be making turkey gravy any time soon. But I’ll be on the lookout for opportunities to use bitters and will definitely let you know when I do!